Check out the first layout completed by our newest Design Team Members. 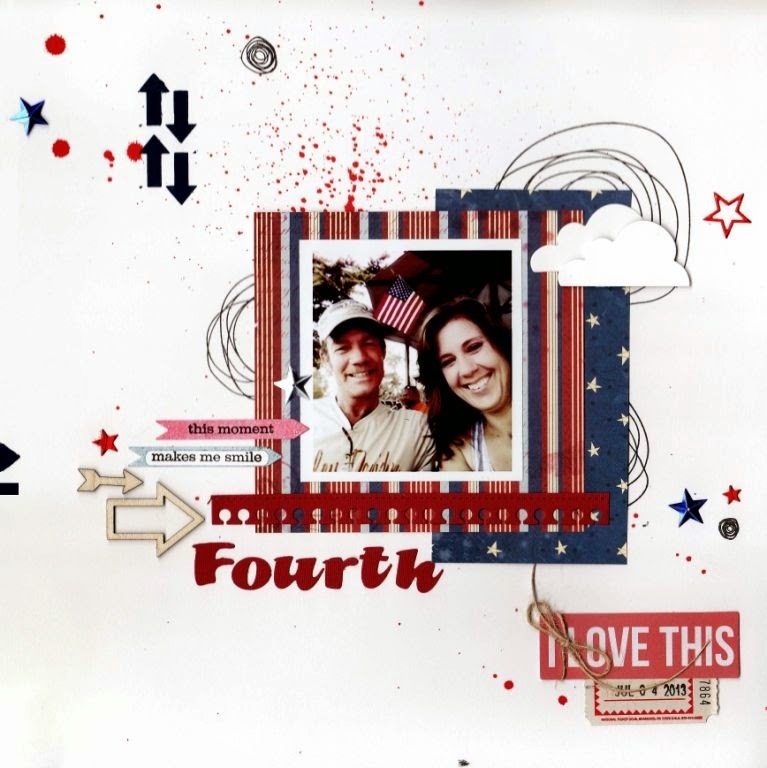 This layout created by Leslie Webster demonstrated the use of dies with a patriotic color theme. Supplies used: Die-Namics Mini Monarch Border, Die Versions Little Red Font, American Crafts 6x6 paper, Memory Box Cosmic Stars. Great layout Leslie!!! Love all that little red spots and all the embellishment you used. Stars are super!!! !